Leading brands know who they are, and more importantly who they ARE NOT. They are conscious of what matches their style and resonates with their audience. They find authenticity in the space that they occupy. Westjet is one of those brands. Leading brands know who they are, and more importantly who they ARE NOT. They are conscious of what matches their style and resonates with their audience. They find authenticity in the space that they occupy. WestJet is one of those brands. WestJet has been producing the Christmas miracle since 2012, an annual feel good campaign of sorts that spreads good cheer in their community. There's certainly no denying that they also benefit strategically from the effort in terms of publicity, both online and off, in addition to earned media. But that objective is not the sole purpose of the exercise. Or at least it doesn't appear that way. In 2014 they helped an impoverished town in the Dominican Republic. Check out a video about the campaign here. In 2013 they surprised guests flying from Toronto to Calgary with gifts that they had wished for earlier while talking to an online Santa in the boarding lounge. Those gifts famously rolled off the luggage carousel upon arrival in Calgary much to their customer's surprise. View a video of that production here. 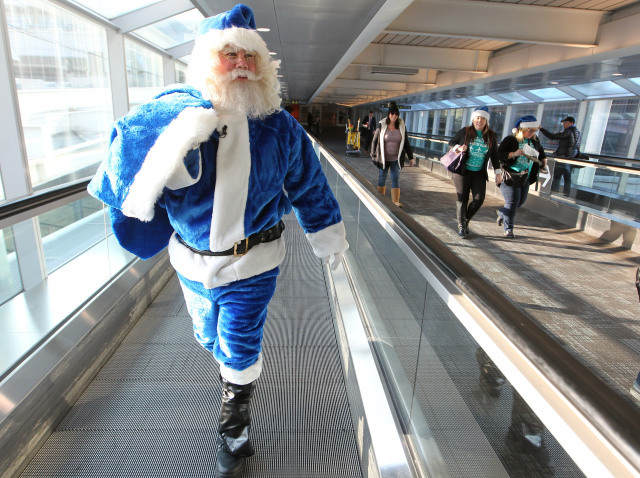 In 2012, the inaugural year for WestJet's Christmas Miracle, they did a flash mob at the Calgary airport, surprising passengers taking the red-eye to Toronto. You can watch the dancing elves and now famous blue Santa here. Even Air Canada got in on the philanthropic act in 2014, with their own version of feel good marketing, when a couple pilots entered a well know Canadian expat pub in London, and bought a round for the crowd -- literally a round trip return ticket home to Canada for the holidays for everyone in the room. Check out the "Gift of home for the holidays" video here. The Air Canada campaign was heart-felt, meaningful, and no doubt deeply appreciated. It almost made us forget everything else that Air Canada has done to inconvenience customers throughout the year. I fly Air Canada often, frankly because they have a better schedule to some destinations, and also because their Star Alliance points program is linked to global carriers. But Air Canada did not authentically own the "Christmas miracle" promotional space. WestJet did. Authenticity can't be bought; it is something that must be earned. Individuals and companies earn authenticity through everyday actions, which collectively allow them to claim the space over time. And that's why this years #WestJetChristmas Miracle 2015 featuring employees carrying out 12,000 mini miracles in 24 hours was so powerful. WestJet empowered their 12,000 employees to commit random acts of kindness on December 9th, and then record them through words, photos and video on Facebook, Twitter, Instagram or Pinterest. There were flights home for Christmas given away, a trip to Hawaii for an injured army veteran, and a vacation to Disney World for a family who had recently lost their father to cancer. But there were thousands of smaller acts of kindness too, such as donations to dog shelters, food for soup kitchens, help for a senior to clean their apartment and put up decorations, random candy canes, toy donations, hot chocolate on the streets, and much more. 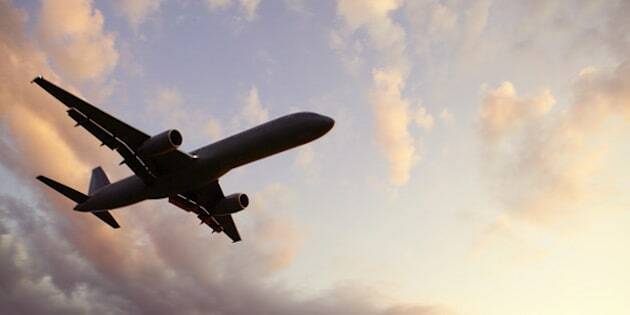 The campaign kicked off in London, UK early morning, and carried on through 38 airports and cities throughout Canada that the airline serves, as well as U.S. destinations, the Caribbean and Hawaii. The company also encouraged citizens to commit their own random act of kindness and to share them on social media with the #WestJetChristmas hashtag. In encouraging others they boosted the reach up to 31,793 mini miracles from their 12,000 employee numbers. That's pretty awesome. Now one week after the Dec 9 Mini Miracle day, WestJet has released the summary video. Within 24 hours of launch, it had garnered over 260,000 views. No doubt those numbers will ratchet up in the coming days. Watch it here. Why does all this matter? It all comes back to authenticity. Campaigns like this resonate with a target audience when they come from an authentic place. There's something to be learned in that for your own marketing efforts. Companies need to know who they are, and more importantly, who they ARE NOT. Forget about trying to emulate your competitors. Customers will see right through it. WestJet has a clear view of what they do well, and they echo the message through customer touch points on a daily basis. WestJet owns friendliness and compassion in the airline space. That's a valuable position, and not something easily earned. But they've done it through consistent actions. The annual Christmas Miracle production is simply a reminder of that fact.